Do graffiti artists have rights protecting what they paint on buildings? The question made me think of the locally famous mural on the side of Ellwood Thompson’s Market in Carytown. It shows a lady picking oranges. It has a 1920’s worker’s collective vibe, which fits the market. It was painted under commission by local artist Ed Trask. Trask is a VCU arts grad whose works have been collected by big companies. What would happen if Ellwood Thompson’s decided to paint over that mural without Trask’s approval? Would it make a difference if Trask had painted that mural without Ellwood Thompson’s permission – illegal graffiti? 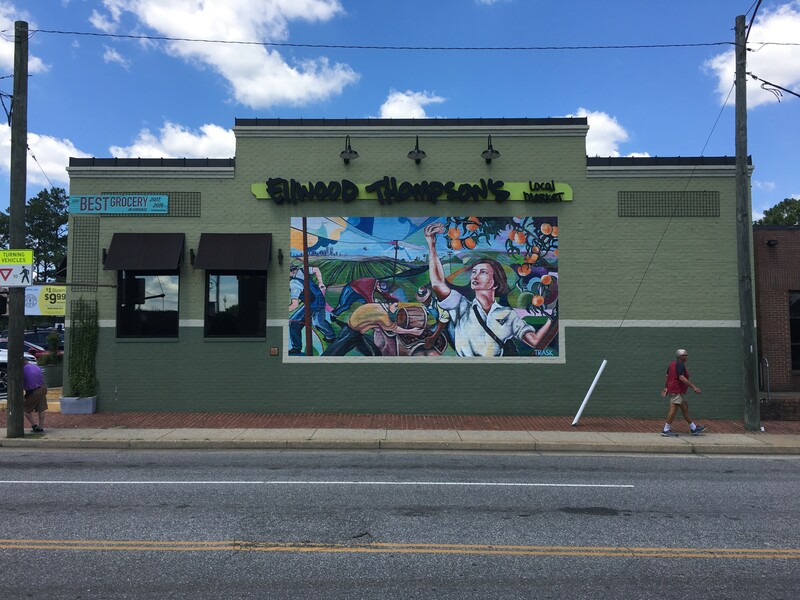 What would happen if the Ellwood Thompson’s building was sold and the new owner wanted to paint it over or tear down the building? You might think that, if you own a building, you can do whatever you want to artwork painted on it. Not so. Property owners got a wake-up call from a recent New York case involving graffiti. A federal court awarded $6.75 million in damages against an owner who allowed “aerosol artists” to paint his building. The owner later painted it over in the middle of a lawsuit filed against him by the artists in which they asserted rights against the destruction of their art. The New York case drew attention to the federal Visual Artist Rights Act of 1990, commonly known as VARA. It gives rights to artists for certain kinds of art, such as paintings, even if on buildings. Relevant to this discussion, it gives artists a right against destruction of a work “of recognized stature,” which VARA does not define. It applies to freelance artists, not art painted by your employees. VARA does not mention unauthorized graffiti, which is universally illegal. It also doesn’t distinguish between art painted without the building owner’s permission and art the owner permits. Some courts hold VARA does not protect illegal graffiti because that would create a tool for stopping property development. Yet, because VARA doesn’t contain an express exception for unauthorized graffiti, it’s possible a future court could disagree. Regardless, only the artist could assert a right against destruction, so the artist would have to admit committing a crime to assert rights. That’s unlikely. What should you do if artistic graffiti is painted on your business without your permission? Report it to the police immediately. That will create a record of the graffiti being unauthorized, which makes it illegal. Clean it up quickly by painting it over or by other means. Don’t give it time to become famous. What should you do if you are commissioning an artist to paint artwork on your walls? Get the artist to sign a written waiver of VARA rights, which would allow you to paint it over or destroy it, such as if the building will be torn down. Some artists might not sign a waiver but asking for one will force a conversation about the issue. If you don’t have a waiver, and if the art is removable, you can give the artist written notice of your intent to remove or destroy it. The artist then has 90 days to remove it at his or her own cost. While you would think art painted on the outer wall of a building isn’t removable, certain pieces of graffiti highly valued by collectors have been removed intact from walls. 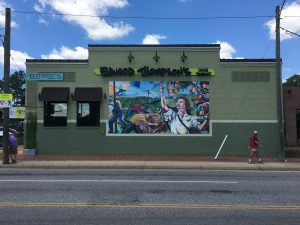 What should you do if you are buying a building with artwork painted on it? Do your due diligence about how that painting got there and the situation generally. Then negotiate to make the building seller responsible for the potential problem, such as getting an escrow to cover any costs associated with the issue or getting indemnity and defense from the seller against any VARA claims.